Roofing Waterford, Kerry, Limerick, Clare and Waterford, Contractors, New Roofers and Roof Repairs. 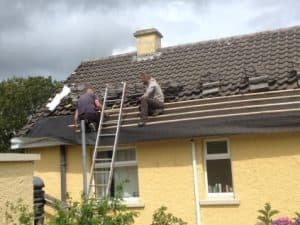 South West Roofing are registered roofing contractors who have been serving our customers for over 30 years in all area’s ofWaterford, Kerry, Limerick, Clare and Waterford. We are widely regarded as one of the top roofing contractors. With over 30 years experience in the roofing industry, rest assured that we have a team of the best roofers in Waterford, Kerry, Limerick, Clare and Waterford has to offer. All manner of flat roof repairs will be undertaken including specialist repairs to chimney flashing. We use Paralon Roofing products for high quality waterproofing. 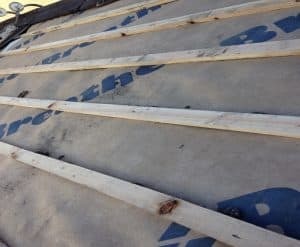 Our highly skilled team of roofers in Waterford, Kerry, Limerick, Clare and Waterford, have extensive experience and we can offer advice on all aspects of roofing and the best roofing materials. South West Roofing Roofing have a large client base and is an accredited member of CIF.